Led by a fearless front-woman, Derina Harvey Band is a five-piece Celtic-rock group whose original jigs and reels and fresh takes on traditional tunes make them a crowd-pleaser wherever they go. With an infectious rhythmic undertow that’s layered with rock guitar, dizzying fiddle motifs, and Derina’s powerful voice, their high-energy shows have earned them an enthusiastic, loyal, and growing fan-base. Boisterous and fun to dance to, they leave their audiences out-of-breath and hollering for more! Don’t miss the chance to party with the Derina Harvey Band at Horizon Stage on Saturday, January 30. Though now based in Alberta, 2015 saw these transplanted east-coasters travel across the country to entertain crowds at theatres, festivals, and pubs. With three tours to Newfoundland under their belts, Derina Harvey Band have performed twice at the George Street Festival in St. John's, opened for Shanneyganock, and shared stages with Jimmy Rankin, The Irish Descendents, Pogey, The Trews, Kim Mitchell, and Trooper. 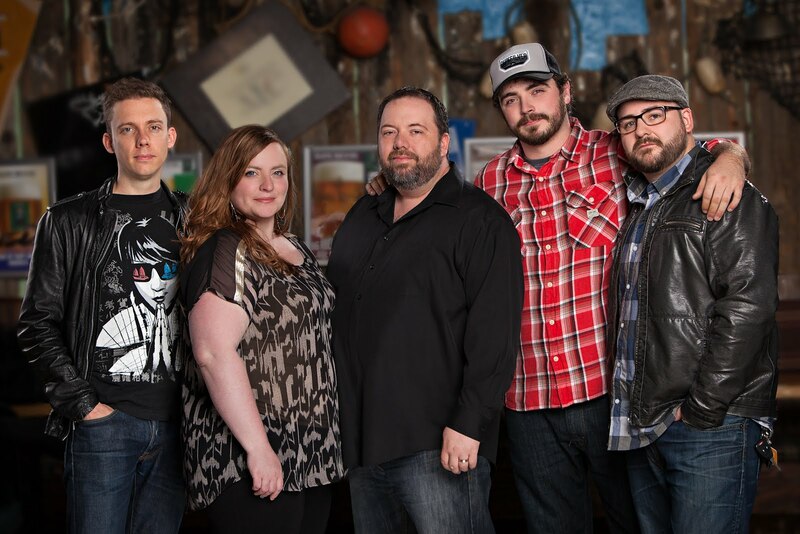 They also play regularly in clubs and bars in Edmonton, Fort McMurray, and across the province. This band continues to build their fan base by promoting their shows and their 2013 self-titled debut album. The record has garnered airplay on many radio stations including CKUA in Edmonton, K-Rock and Radio Newfoundland in St. John's, and Canada-wide on CBC. They are currently working on their second album, Rove and Go, which is due out in March 2016. There are just 20 seats left for Derina Harvey Band’s concert on Saturday, January 30. Doors open at 7:15 and the concert starts at 7:30 p.m. Tickets are just $35 for adults and $30 for students and seniors and may be purchased at the City Hall Ticket Centre (315 Jespersen Ave), by phone at 780-962-8995 or 1-888-655-9090, and online at ticketpro.ca. Get yours soon before they’re gone!